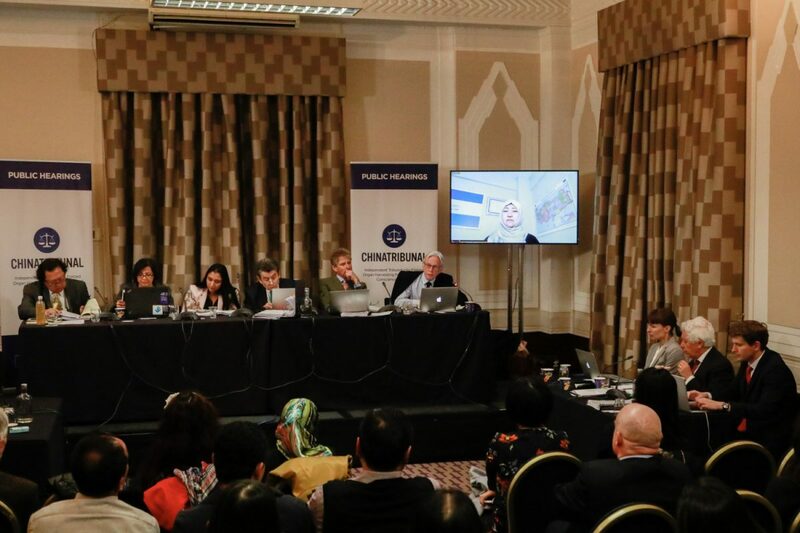 An independent people’s tribunal in London has heard evidence concerning the mass killing of prisoners of conscience for their organs in China. 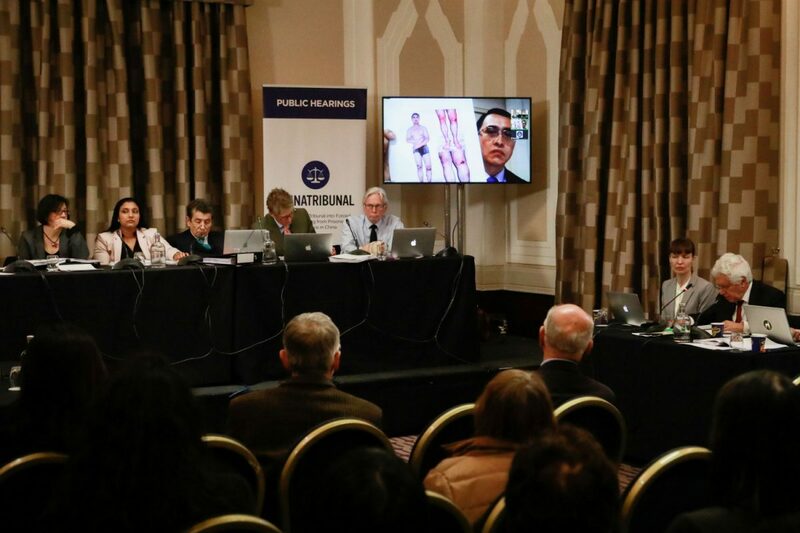 From April 6 to 7, two dozen witnesses, including researchers, medical professionals, journalists, and survivors from around the world, gave testimonies before the tribunal on allegations of state-sanctioned organ harvesting targeting persecuted groups in China, including practitioners of the spiritual practice Falun Gong and the Uyghur ethnic minority. Chaired by Sir Geoffrey Nice, QC, who previously led the prosecution of former Yugoslavian President Slobodan Milosevic at the International Criminal Tribunal, the panel consists of seven experts tasked with conducting the world’s first ever independent analysis of forced organ extraction in China. 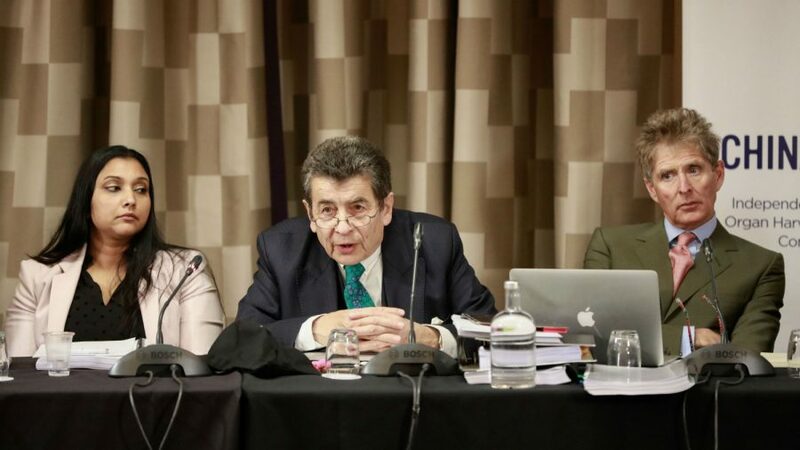 According to legal counsel Hamid Sabim, the tribunal invited representatives from the Chinese regime, including top health officials and Chinese embassy officials in London, to participate in the hearings, but did not receive a response. Refugees who have escaped persecution in China gave evidence at the tribunal, recounting that they had received blood and medical testing during their detention. 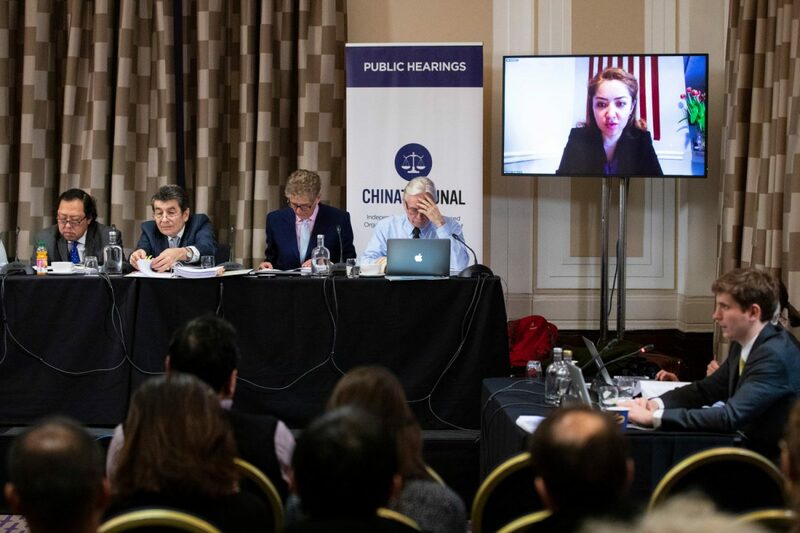 Mihrigul Tursun, a Uyghur who last year testified before a U.S. congressional committee about being tortured and abused at an internment camp in the northwestern region of Xinjiang, told the tribunal via video on April 7 that camp detainees underwent detailed health checks, including blood tests and ultrasounds. Tursun said she was tortured under interrogation for three days in April 2017, after which she was transported—while hooded, cuffed, and shackled—to an exam room in a hospital. “I knew that they took blood from my arm twice, but I don’t know how much blood was drawn,” Tulsun said through an interpreter. She said she also received blood pressure tests and medical tests to check her heart condition. Tulsun said she was then led to a dark room in what she suspected was the basement of the hospital. In that room, the handlers removed her hood and restraints, and then all her clothes. They then attached equipment onto her chest area and used a machine to examine her body. Her handlers then put liquid on Tursun’s forehead, shoulders, just below her heart, and both legs, and placed her into a glass machine, where she was made to circle inside while shouting numbers from one to 10. Tursun could not hear anything while inside the machine. “I became terrified after I was placed into that machine. I thought they may be taking my internal organs and that I might die that day,” she said through the interpreter. 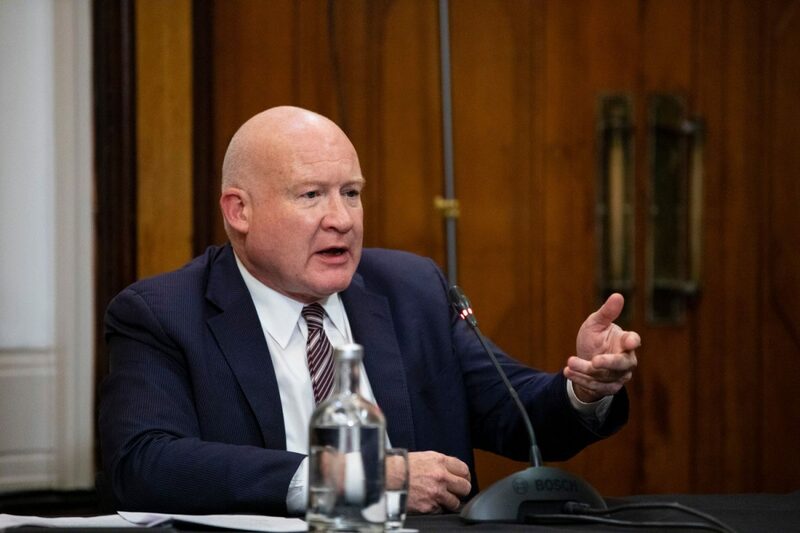 Ethan Gutmann, China analyst and investigator, testified on April 7 about the Xinjiang crisis. 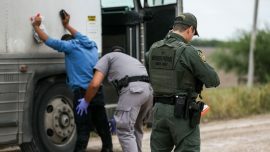 “You have maybe a million and a half people who have all been blood tested and they’re in detention, and their families have lost sight of them,” Gutmann said. 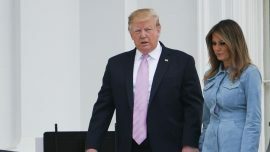 He said that recent evidence indicates the Chinese regime is targeting this group for organ extracting, including accounts of DNA testing being conducted at the homes of Uyghurs in Xinjiang and the known construction of regional crematoriums and a dedicated lane for transferring organs for transplant surgery at a local airport. By analyzing the public records of 712 Chinese hospitals that carry out liver and kidney transplants, the report showed that roughly 60,000 to 100,000 transplants are being conducted each year, far outstripping the officially reported number of 10,000 to 20,000 per year. 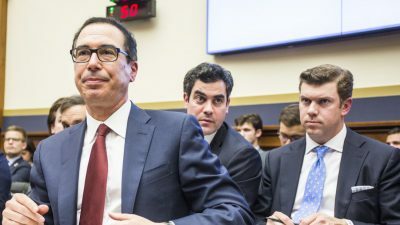 The shortfall, the report concluded, is made up by organs forcibly harvested from prisoners of conscience in China, primarily from practitioners of Falun Gong (also known as Falun Dafa), while Uyghurs, Tibetan Buddhists, and some house Christians also have been targeted. Several Falun Gong practitioners gave evidence during the December and April hearings, speaking of their experiences of being detained for their faith in China. Aside from personal accounts of torture they experienced inside China’s labor camps and prisons, all spoke of undergoing physical examinations during detention. Feng Hollis, who was arrested in 2005, said in her December testimony that at the time, she wondered why she was given a medical test despite being frequently tortured in prison. Two researchers who conducted an unprecedented study of China’s official voluntary donor transplant data told the Tribunal on April 7 that according to their analysis, the official data curiously aligned with a basic mathematical equation, suggesting that it was manufactured. “We found many anomalies that are difficult, if not impossible, to explain without concluding that the data had been manipulated manually,” said Matthew Robertson, study co-author and doctoral student at the Australian National University. In their study, Robertson, along with statistician Raymond Hinde and professor of surgery at Tel Aviv University Jacob Lavee, examined data from the China Organ Transplant Response System (COTRS), as well as local Red Cross figures, and found that the numbers conformed to a quadratic equation that produced a particular type of curve. 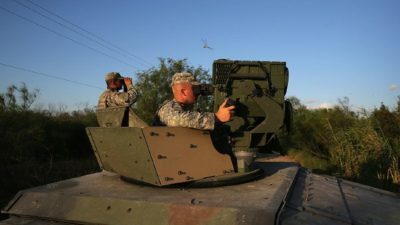 “It would be unexpected to happen, [that the numbers conformed to] such a smooth rate as that,” said Hinde. 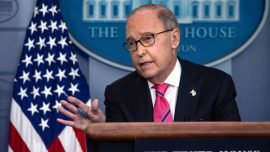 One example of anomalous data suggesting possible manipulation, Robertson said, was that the total number of registered organ volunteers published by China’s Red Cross increased by exactly 25,000 from December 30 to 31, 2015. “We can’t say a lot more than it looks a bit suspicious,” he said. The tribunal is due to release its final judgment on June 17, to determine whether international crimes have been, and continue to be committed with regard to forced organ harvesting in China. NTD staff member Jane Werrell contributed to this article. NTD is part of the Epoch Media Group.